My recent culinary obsession has been fixated on healthier alternative ingredients such as applesauce for sugar and garbanzo beans for…well, pretty much anything. It’s that time of the year where sugar laden cookie classics appear from the long traditional woodwork and pump legalized crack dosages in the form of sugar through blood streams across the nation. Somehow I justify my guilty consumption by the lack of sleep from dawn patrol sessions, holiday parties, the 80/20 rule and the time-swallowing gift “hunting and gathering” process. I’ve discovered battling cracked out lineups, trekking from parking spots located on Planet X and then doing the shoulder bump through aisles at the malls and stores are quite the calorie burners!! Banana cookie swag: some consumption may be required. The inside scoop on banana cookie goodness. Preheat the oven to 350 degrees. 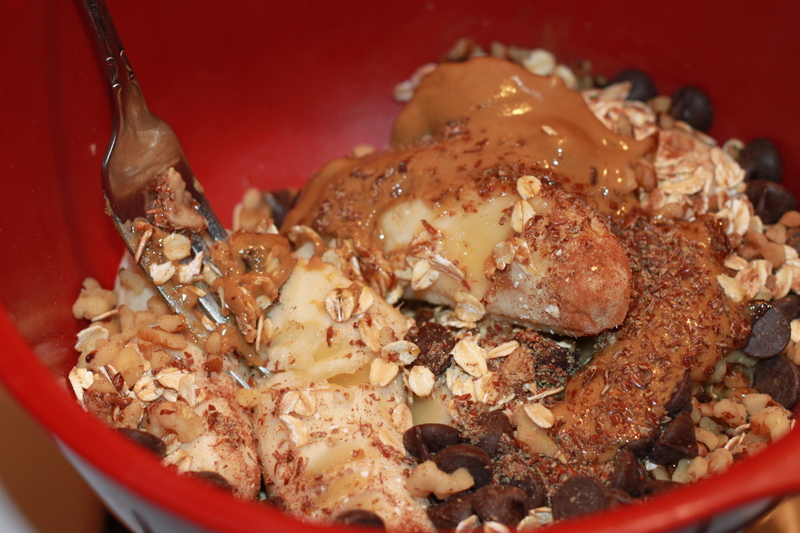 Put all ingredients in a mixing bowl and smash together with a fork. 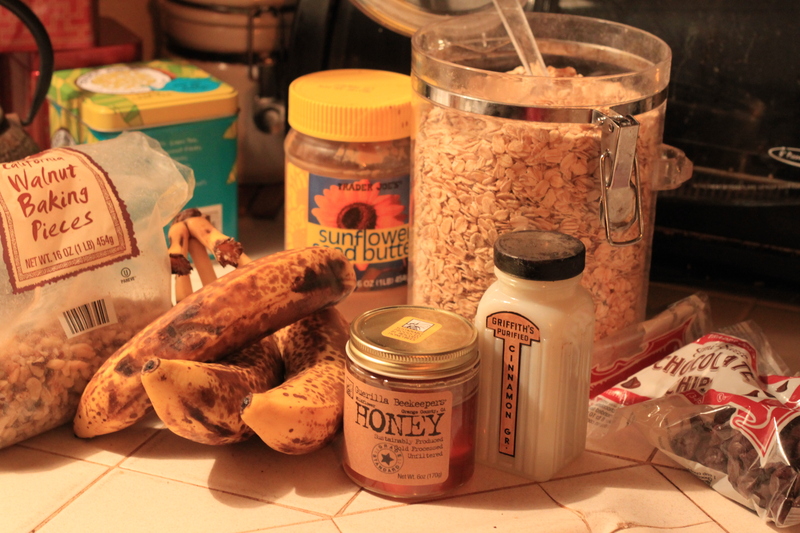 Make sure to break up those clumps of the bananas…unless your going for the chunky monkey effect. Spoon mixture onto greased up tray and bake for 8-10 minutes. Once the tops of the cookies are about a golden brown, remove from oven and let them cool for 5 minutes…if you can stand the wait. 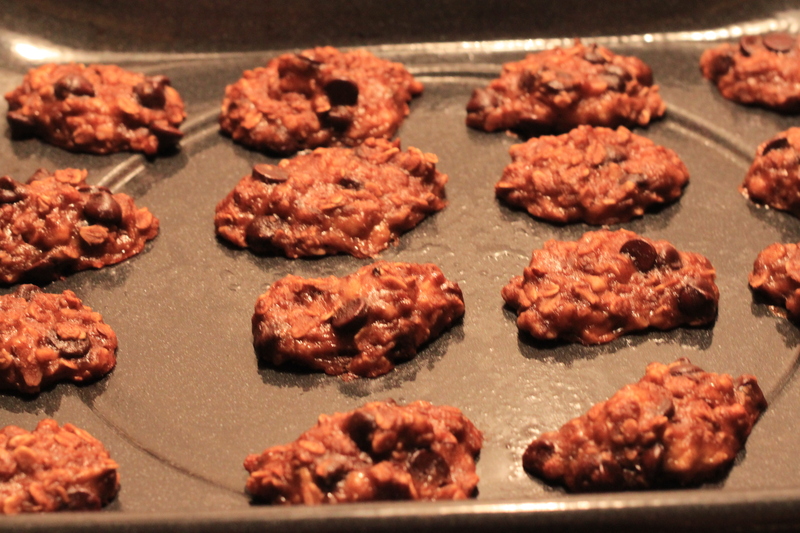 These cookies are pretty delicate, so letting them cool is essential. Once the cookies are cooled and your house smells amazing, consume at will. WARNING: These cookies have been known to disappear if left out. No exact cause has been determined, however, it is believed family members, friends, co-workers and roommates are to blame.